A cat is one of the cutest animals you can ever have as a pet, and having one or two to cuddle at any time of the day is priceless. However, having a pet cat doesn’t seem as simple as you think. Taking care of your pet cat takes a little effort on your part, especially at times when it pees. You don’t only wash your carpet where the cat peed on. You have to make sure you get the smell out of it. Knowing how to get cat urine smell out of a carpet may sound another addition to your task, but it actually pays off, and it isn’t burdensome at all. But, before we learn how to blot out cat pee smell, let’s understand why it is that stinky. Well, all animal urine are stinky, even that of humans. But, what makes cat urine smell bad is that it usually goes unnoticed, so it just dries up. As the bacteria in the urine decomposes (the first stage of decomposition), the urine becomes old, discharging an ammonia-like odor. Now, if you haven’t washed the urine stain off yet, it will have the second decomposition stage – emission of mercaptans. Mercaptans or thoils are compounds with strong odors like that of rotten eggs and garlic. In addition, animal age is also a contributing factor to this stinky urine smell. The older animals get, the inefficient their kidneys would be. This is the very reason why older animals have the worst pee smell. Cats also have powerful hormones being eliminated when they urinate. These hormones add to the stench of their urine. So, before the two decompositions take place, one must clean it up real quick. Molly Maid, a residential cleaning company, suggests that most of the cat owners fail to clean up the stained area quickly enough. There are three categories of urine stain and odor removal products; enzymatic, chemical, and bacterial. About Home features some of the cleaning products you can use to get rid of your cat urine smell. Now that we have listed products that can help remove cats’ urine stain and odor, let’s now deal with urine odor removal. 1. Remove as much urine as you can – You don’t have to do a deep cleaning if there is less stain on the area. So, remove as much urine as possible, and do it as soon as you have noticed the pee. You may use an absorbent paper towel in removing it as per Human Society of the United States. 2. Use an enzymatic cleaner to remove the stain and smell – Enzymatic cleaners contain cultures that eat the urine, literally, leaving the area odor-free once it dries up, according to Apartment Therapy. Cats have a stronger sense of smell than humans. We may think there’s no odor at all after having it cleaned with ordinary cleaner. But, actually, there’s still a stinky odor left enough for the cat to pee on the same area again. So, use the enzymatic cleaner as it can do way better than ordinary solutions can. 3. Use baking soda-based air freshener as a finishing touch – Baking soda has a sodium bicarbonate substance that absorbs odors. Sprinkle the freshener on the carpet after you have thoroughly cleaned it with an enzymatic cleaner. Make sure it has dried completely before you spray it. After an hour or two, vacuum it up. Yes, blotting out cat urine smell may sound a process, but the good news is that it is just simple, and it can be done. All you need to do is to gather all the necessary cleaning solutions and tools, and do as instructed in this article. 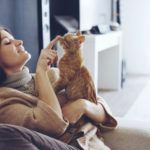 Your pet cat urine may just be a very little thing to pay attention to, but, the smell it gives off can bring a huge destruction to your home, especially if your visitors come and share with the stinky, foul smell. So, never underestimate your little cat’s urine smell by overlooking it, and not wiping it out on your furniture or carpet as quickly as possible. You may not realize this, but, your cat doesn’t also want to inhale their pee, and they just can’t tell you. 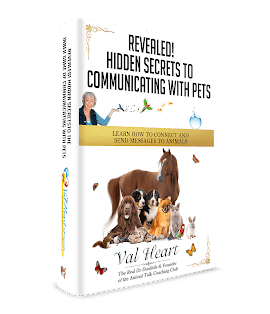 So, be sensitive enough not just to mind putting food on their automatic pet feeder and water on their cat water fountain every day, but also, care about their environment, which happens to be your home, too. It has to be cat urine odor-free. Great advice! Training kittens can be great fun, but also very time consuming, especially when accidents happen, so ensuring you have the time to dedicate to them is greatly important. Jon, I’m happy you found it helpful. We do our best!